The BikeReg office sits in idyllic Western Massachusetts, and while home to world class athletes like Jeremy Powers and Ellen Noble, it also boasts a strong local cycling community, which we as a company love to help support. 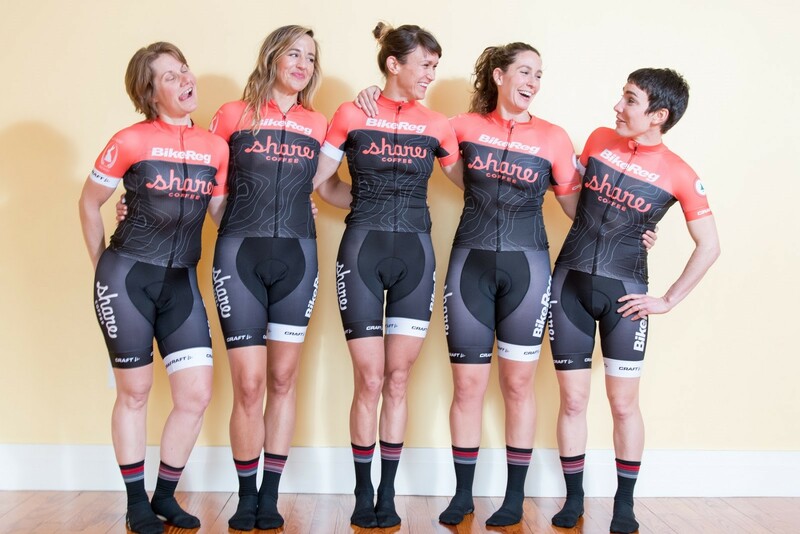 This year, BikeReg was happy to help sponsor a new women’s racing team, BikeReg | Share Coffee. Primarily based on the road, this new team was focused on criterium (crit) racing, with an eye toward development, fun, and being positive representatives for the community at large. Now that their first season of racing has wrapped up, we took a moment to sit down with team founder Christin Reuter to see how things came together for them. Can you tell us a little bit about what the BikeReg | Share Coffee team is? Sure! BikeReg | Share Coffee is an amateur women’s road team based in New England, with riders from Northampton, MA, Boston, MA, VT, NH, and Ontario. The team started in 2018, with 100% of riders coming from a cyclocross background. BikeReg and Share Coffee are the main title sponsors, but we’re also supported by some great local businesses – Shred Girls, Black Rabbit Brewery, SER Exposition Services. CCNS Coaching, TW Metals, and Mad Alchemy. Roni is a rockstar cook and the chef/owner of Jake’s Old Fashioned Ice Cream & Bakery in Nashua, NH. Her tiramisu will knock your socks off. Kayla is a badass stylist and the owner of Maven Salon in Hanover, NH. Molly is a freelance writer, podcaster, and the author of Saddle Sore, Mud, Snow, and Cyclocross, and the series Shred Girls. Mira is the best car dj, shreds cyclocross, and also runs track. Why did you want to start this team? I had a really good time racing crits in 2017, and wanted to get more women involved. There are fewer women racing in all disciplines than men, and this was a small effort to counter that. A lot of the women I know are from MTB/cyclocross, so I started there. I figured anyone who can shred corners in the dirt can learn to shred corners in a crit. I thought I could contribute more to the growth of women’s cycling by creating a women’s team than by simply adding myself to an existing mixed-gender team. What were some of the harder things, logistically speaking, in getting the team started? Kit design! That was an adventure. But fun. There’s also the stereotypical chicken and the egg when you first start out. You’re pitching sponsors with a team that technically doesn’t exist yet, while also pitching potential team members with sponsorship that doesn’t necessarily exist. It was a fun challenge, and rewarding to see it come together. What sort of races did you do this year, and how did the team do? We raced a good mix of road races, crits, and some stage racing, with an emphasis on crits. The team did great. I’m so proud of their enthusiasm and attitudes tackling new situations and new types of racing. 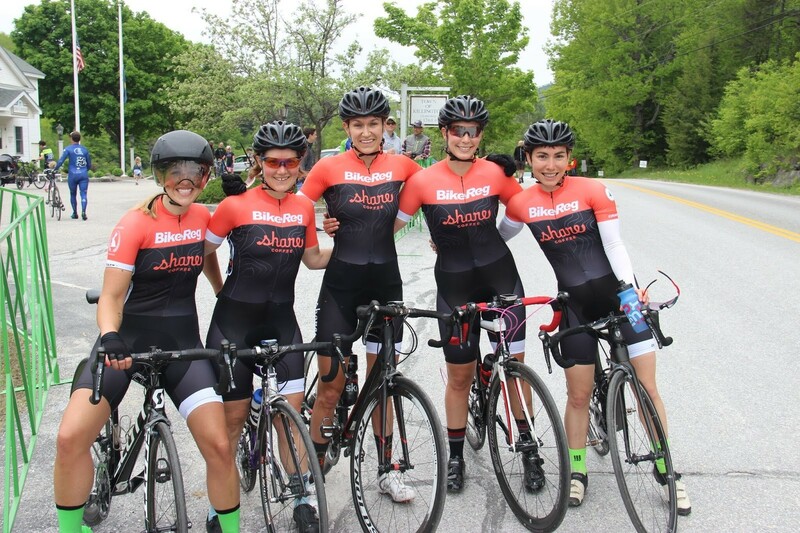 Mira competed in her first ever road races, we roped Melissa into longer distance hilly races and she crushed it, Kayla and Roni were both able to meet their early season goals of upgrading to Cat 3, and Molly brushed off ten years of crit rust and shredded. Results are one marker of success, but I feel like our biggest successes have been in how much we’ve learned and grown. None of us had been on a road team prior to this, so it was a new world. We tackled and experimented with tactics together – when to attack, how to attack, whether to attack, how to read a race. Learning what each other’s strengths are and how best to work together. Racing was definitely more fun because of it. And we still have plenty more to learn! Kayla almost won the Ray Whalen Builders Tour of Lake Ellyn at the Intelligentsia Cup with a solo flier on the last lap. 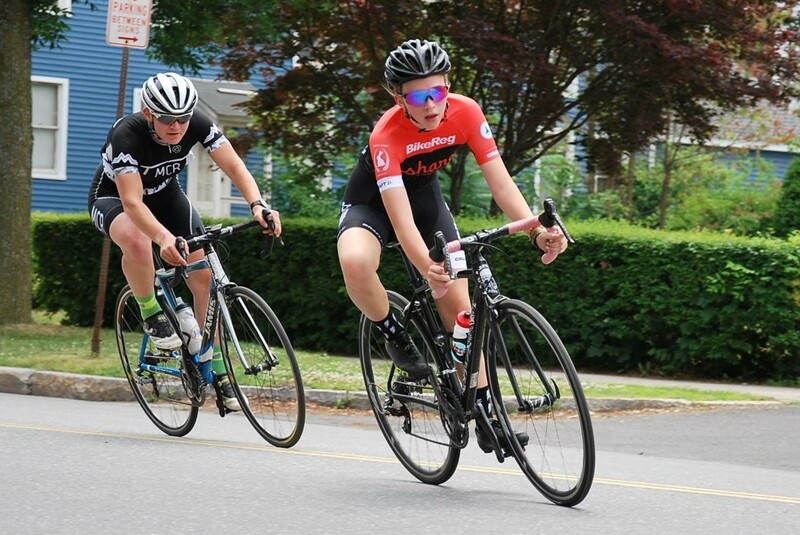 She was 4/33 in a category 2/3 crit after starting the season as a 4. Melissa and I went 3 and 1 at Shoe City Pro Circuit. Roni won Myles Standish Road Race. Molly was 8th at the Killington Stage Race Time Trial. Mira podium’d every jr event she did. How do you measure success for the season? Our goal from the beginning of the season was to have fun, gain experience, and represent our sponsors well through a positive presence in the community. Based on the feedback we’ve gotten, I think we accomplished that. What sort of things do you know now that you wish you could tell yourself at the beginning of the season? Read the correct year tech guide for Killington Stage Race! What was the best event for the team? We all have our favorites, but as a team Mansfield Madness was pretty great. It was one of the few category 3/4 races of the season, and our first opportunity to race together as a team and try out tactics. We ended up 1st, 2nd, 5th, and 8th, and no one got hypothermia (it was March). It felt like a good way to start the season. Probably Killington Stage Race. Even though I missed my time trial start. We laughed A LOT. Everyone should try a crit! And also Share Coffee. Thanks to everyone who cheered for us and supported us in 2018!